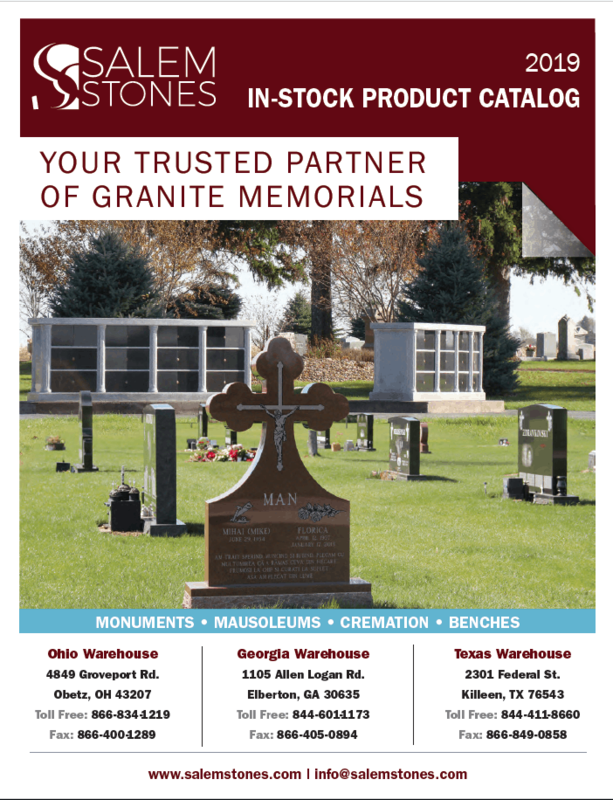 Find out more about our entire range of products, granite color options and design services. We specialize in double process sandblast lettering. Including flat carving, shape carving, gold leaf and more. 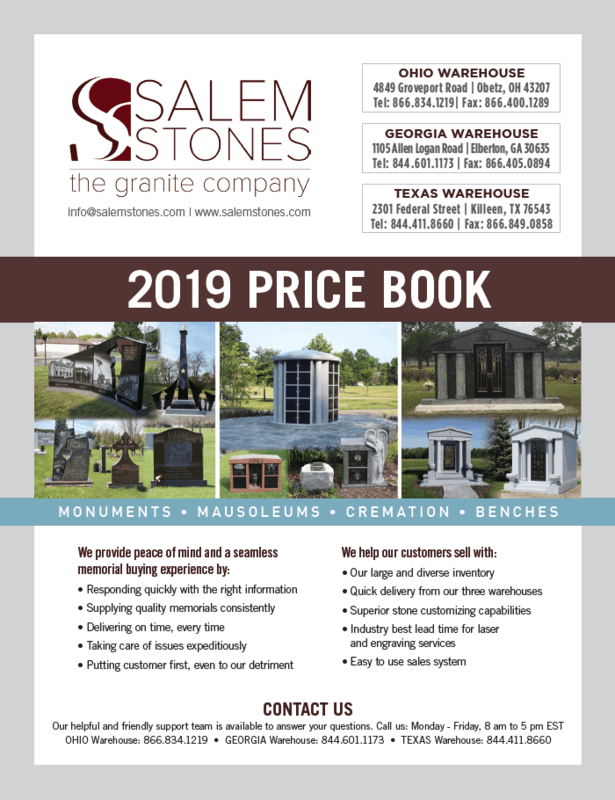 We guarantee superior quality granite with no cracks or other defects with a 5-year warranty up to 125% of the value of the stone. 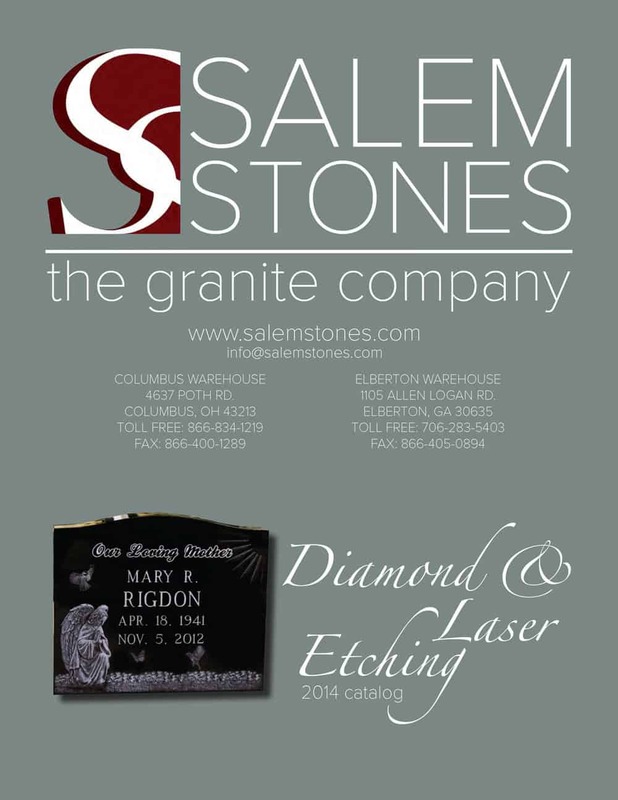 Our catalog of etching designs from the artists at Salem Stones. We have presented designs for various subjects including Farm Scenes, Patriotic, Sports, and Religion. 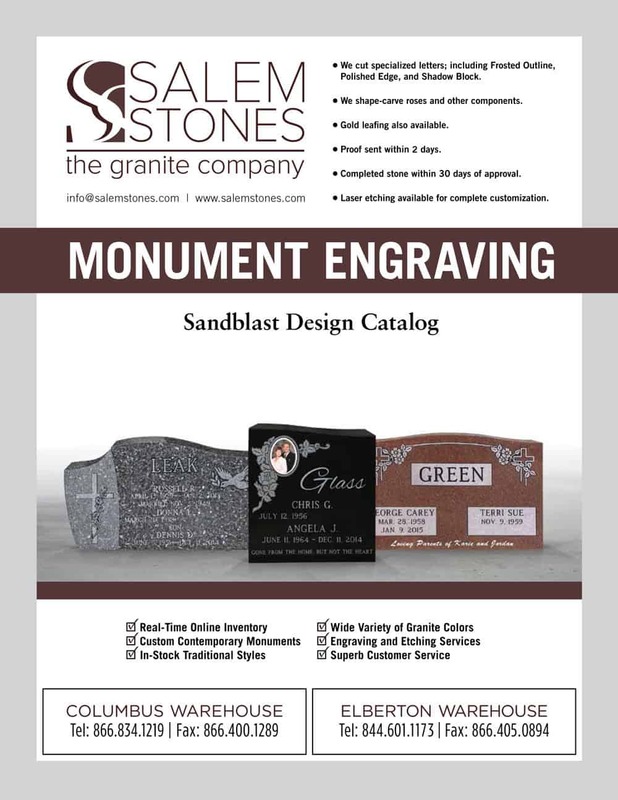 You can choose one of these designs to be etched on a monument or, our artists can create a new design based on your description.